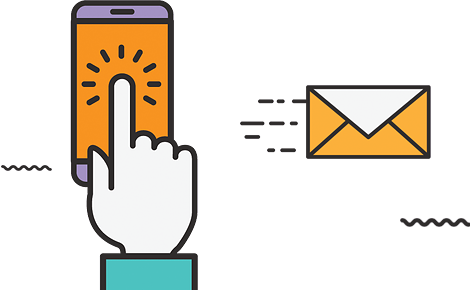 NSOL’s email marketing services help you to promote your business and speed up your sales cycle. Our agency sends emails to motivate people to get interacted towards your services. We want to lead you to the path of success strategically through email marketing because of its long-lasting outcomes. 9 billion audiences use the email applications, among them, 91% audience check their emails on daily basis. 1/3 audience purchases products through email marketing. About $44 average return is on email marketing every $1. Leverage your strengths and bridge your gaps with us. We ensure you the quick execution and error-free delivery of promotional emails. We have flexible email marketing packages, which are suitable for every pocket. *NOTE: Email Subscriber’s list / data will be provided by client. These charges includes only management, execution & designing of email newsletters.